Dressing in your Sunday best for the upcoming Easter and Passover holidays doesn't have to take your family's entire spring break budget. Opt for a chic dress for the occasion that won't break the bank and will last you for every event this season and throughout the summer too. As a woman, I love wearing dresses. They are so pretty and feminine and also extremely easy to wear. However as a mom, I realized how often I don't wear them and then I'm scrambling to find the perfect dress when the occasion arises. It's starting to become wedding, baby shower and graduation season. Not to mention the upcoming Easter and Passover holidays which ensure that we look our best for our family and friends. For once, I'm going to put my dress first and get shopping now for something that will last me through the spring season and throughout the summer so I can avoid the last-minute scrambling. It will make getting dressed for a special occasion fun instead of exhausting. Here are a few fantastic dresses that are timeless, budget friendly and extremely stylish for every occasion. I'm definitely short but I have to say, a maxi dress looks good on everyone. You can wear a maxi dress no matter what shape and size you are and feel beautiful. 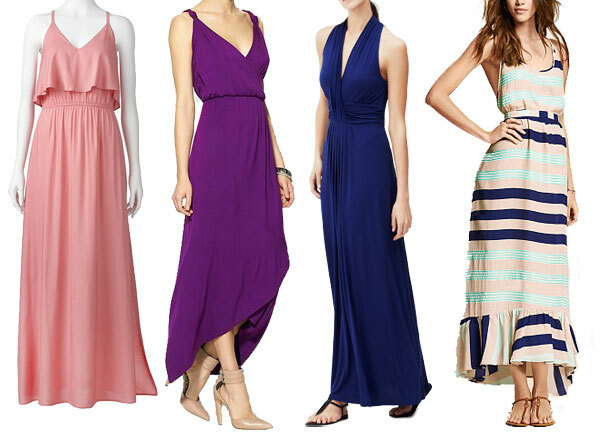 Long to the floor or hitting at the mid-ankle, a maxi dress is a great way to blend fancy and casual as it comes in everything from stretchy jersey cotton for covering up bathing suits to chiffon, making it suitable for weddings and fancy occasions. When wearing a maxi dress beware of what shoes you choose to wear with it. Most go great with sandals and flats but if you're looking for height, try a wedge instead of a heel because if your dress is too long, it can get caught in your shoe. LC Lauren Conrad Challis Maxi Dress, $51. Sabine Knotted Grecian Knit Maxi Dress, $69. LOFT Beach Crossover Halter Maxi Dress, $90. 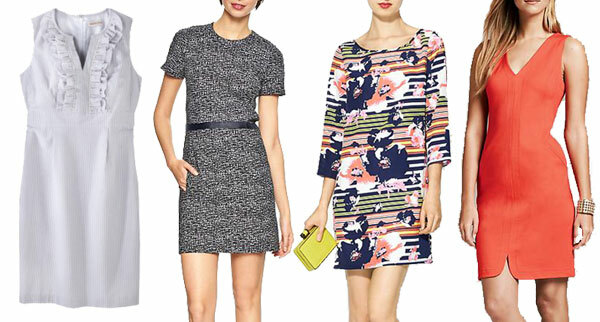 A sheath dress is one of those dresses that can be worn from work to cocktail hour — no questions asked. It's very versatile styled with a blazer by day and at night, switch out the jacket for a statement necklace. Usually hitting you mid-thigh, the sheath dress isn't too revealing and is a perfect dress option for those that have classic taste when it comes to clothes. The sheath dress goes great with heels or flats and offers many opportunities for dressing up with accessories like bold bracelets and necklaces because of its sleek shape. Seersucker Ruffle Neck Dress, $30. Pim + Larkin Madeline Sheath Dress, $89. The most flattering of all the dress silhouettes, the fit and flare dress is one for every occasion. The shape of the dress allows for those that are larger on the bottom to conceal that and instead enhance the upper body. Coming in everything from fancy floral patterns that are a match for the spring season or in a solid bright color that is timeless, the fit and flare dress will last you for years without ever looking dated. Fit and Flare Ponte Tank Dress, $30. ELLE Striped Fit and Flare Ponte Dress, $42. BB Dakota Renley Lace Fit and Flare Dress, $88.